Family Don’t End With Blood at #SPNMinn! If you’re coming to the Supernatural con in Minneapolis tomorrow, come see me in the vendor’s room if you’d like to grab a copy of Family Don’t End With Blood. 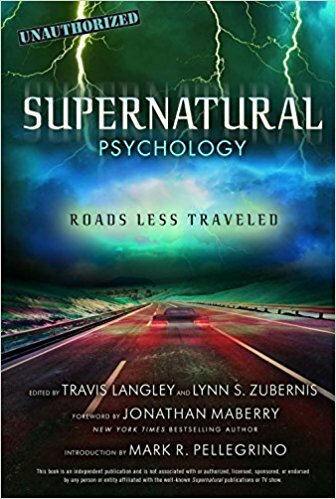 The book is unique for being written by the Supernatural actors themselves – Jared, Jensen, Misha, Mark, Kim, Briana, Ruth, Rachel, Rob, Matt, Jim, Gil and Osric all tell their very personal stories of how the fandom and the show have impacted their lives. In their own words. As Gil joked recently, they can now all add “author” to their bios! Most of the actors who wrote chapters will be at the con, and they are always thrilled to sign their chapters – it’s one item almost all of them love to sign since they’re (very justifiably) proud of their chapters. I’d be honored to sign it for you too at the vendor’s table – I’d love to meet you and hear your Supernatural story, to add to the powerful chapters in the book written by fans. I’m extra excited about this con because the super talented Jodi from Eldwenne’s Fantasy has designed a special necklace inspired by the stories in Family Don’t End With Blood. 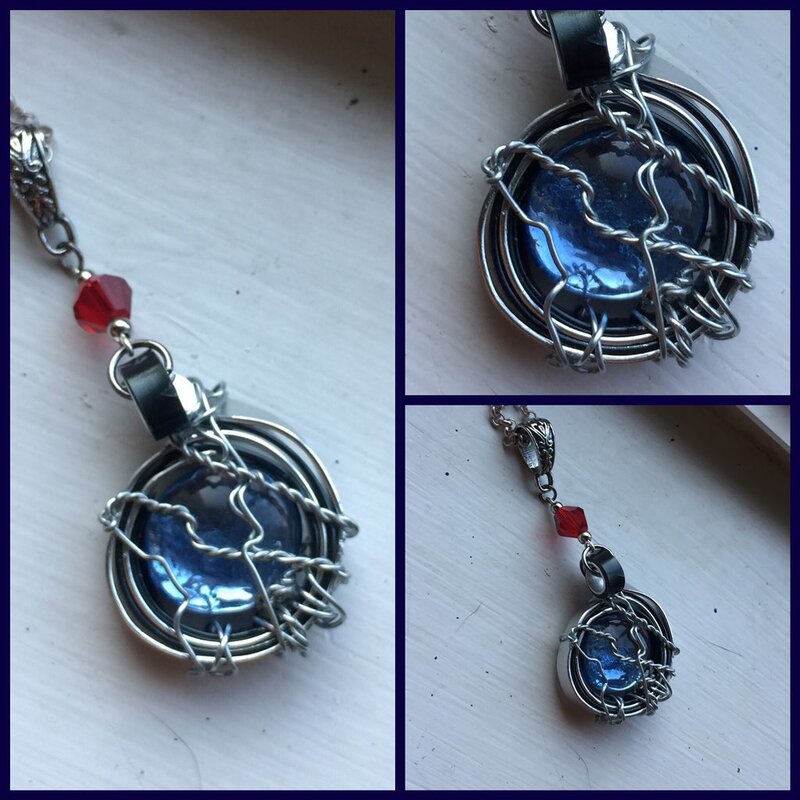 This piece was commissioned to honor the powerful, courageous, inspiring chapters written by some of the women of Supernatural – Briana Buckmaster, Ruth Connell, Rachel Miner and Kim Rhodes. The blue is from the book’s iconic cover art of the Winchesters, with silver and black wrapped around to symbolize their supportive found family (including black for Baby, of course – she’s family!). And that drop of red? Just the beginning of what family means in Supernatural – and in the entire SPNFamily. I love the little drop of blood and I love the whole wrap around family feel of the blue with the black and silver hugging it. I love that the necklace stands for the way the characters have each other’s backs, and also for the way the fandom and the cast support each other too. That’s the inspiring message you’ll take away from reading the book. Jodi is offering $5.00 off at the con to anyone who buys a copy of the book that inspired the necklace, and I’m offering $2.00 off the book at the con if you happen to be wearing the necklace. 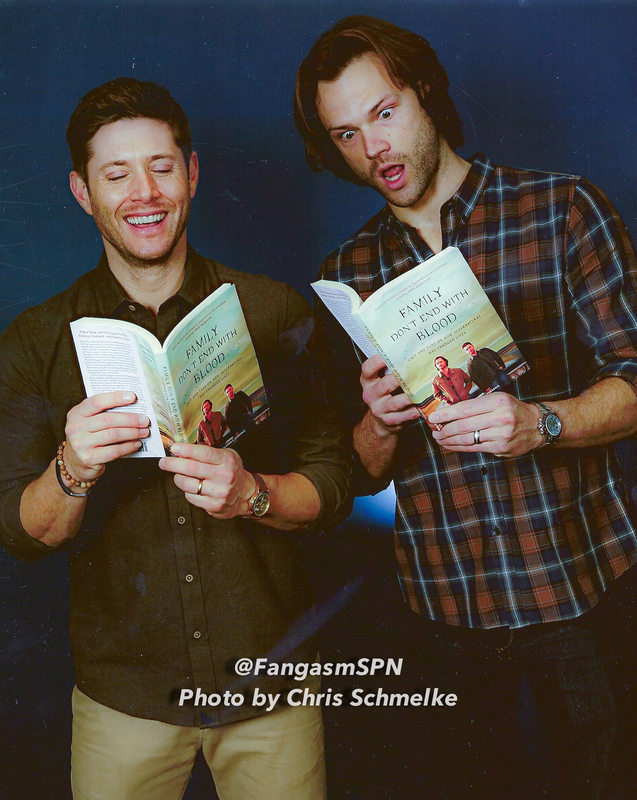 Here’s what Gil and Osric had to say about writing their chapters in Family Don’t End With Blood, and what Jared and Matt had to say about writing theirs. Hope to see you tomorrow in Minneapolis or at an upcoming con! Family Don’t End With Blood at the links on this page. ← Supernatural Vancouver Part Two – More SNS, Jared, Jensen, Ruth and Rachel!